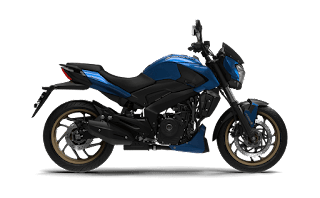 best bike under 1 lakh are tvs apache rtr 200 4v, bajaj pulsar 220, Bajaj pulsar 200 ns, etc. 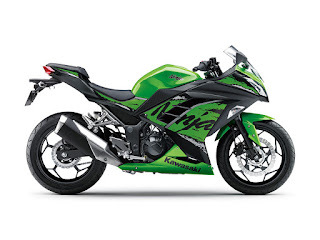 Read the best bike under 1 lakh to know everything about them. This bike is powered by 197.75 cc motar with a single cylinder. which delivers the max power of 20.7 BHP @9,000 rpm and max torque of 18.1 NM @ 7,000 rpm. It has 4 valves per cylinder. Its Fuel delivery system is carbureted. It has a single spark plug and has an oil-cooled cooling system. It has 5-speed gearbox. The company claims it mileage of 40 km per litter but it gives 40 km per litter on highways and in cities, it gives 37 km per liter. The company claims it's the top speed of 127 km per hour but it can go up to 135 km per hour. It reaches 0-60 in 4.11 sec and 0-100 in 13050 sec. One thing I like the most about this bike is that this bike comes with front channel ABS as an option. But that model is 12 thousand rupees costlier than the regular one. Price of this bike starts from 97 thousand to 1 lakh 10 thousand rupees. But prices may vary in different places. First best bike under 1 lakh. 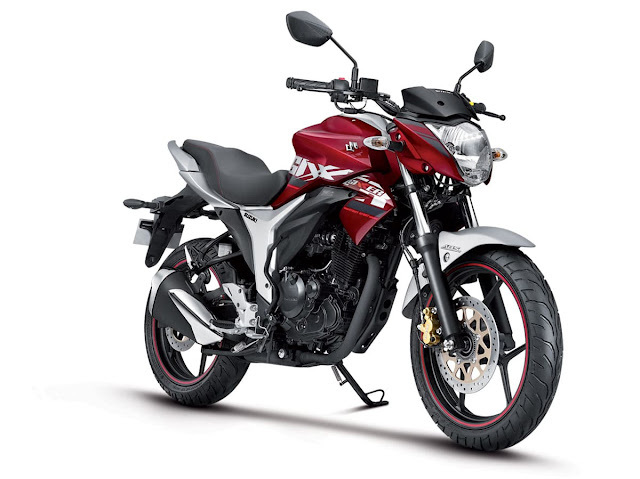 This bike comes with 220 ccs single cylinder, 4-stroke, 2-valve, twin spark DTSi engine. Which produces the max power of 20.93 bhp @ 8,500 rpm and the max torque of 18.55 Nm @7,000 rpm. It has carburettor as fuel supply system and ignition is digital twin spark ignition. Fuel tank capacity is of 15 litres and can give the mileage of 42 km per litres. It can reach the top speed of 138 km per hour and reaches 0-60 in 3.9 seconds and 0-100 in 13. 30 sec. It has 5-speed gearbox. This bike has telescopic anti-friction bush as front suspension and 5-way adjustable Nitrox shock absorbers as rear suspension. It has 90/90-17 section front tyre and 120/80-17 section rear tyres which are tubeless. Kerb weight of this bike is 155 kg and ground clearance is 165mm. You can get this bike in rupees 93,000 ex-showroom Chandigarh. Second best bike under 1 lakh. This bike comes with 199.5cc single cylinder motor which is capable of producing the max power 23.2 bhp @ 9,500 rpm and the max torque of 18.2 rpm @8,000 rpm. It has 4 valves per cylinder and has carburettor as fuel delivery system. This bike has independent spark control through ECU as ignition and 3 spark plugs per cylinder. It has a liquid cooled as the cooling system and 6-speed gearbox. Brakes are disc brakes front brake size is of 280 mm and rear brake size is of 230 mm, wheel size is of 17 inch and both the tyres are tubeless tyres with alloys. Its front suspension is telescopic front fork suspension. and nitrox mono shock absorbers as rear suspension. Weight is 152 kg and ground clearance is 167 mm. It can give the mileage of 40 km per litre on highways and 36 km per litre in cities. company claims it's top speed up to 137 km per hour but according to my ride experience it can reach up to 142 km per hour very easily. It can reach 0-60 in 4.6 seconds and 0-100 in 12.50 seconds. This bike also comes with ABS as an option. the price of this bike starts from 99,000 rupees and goes up to 1,12,000 rupees ex-showroom. Fuel supply system is carburettor and ignition is TCI- transistor controlled ignition. Its fuel tank capacity is 12 litres claimed mileage of this bike is 60 km per litre. But when I tested it it was giving the mileage of 54 km per litre. But only when you will drive it between 40-60 km per hour. Claimed top speed of this bike is 113 km per hour but when I was riding this bike it was reaching to 125 km per hour very easily. Fourth best bike under 1 lakh. 5. 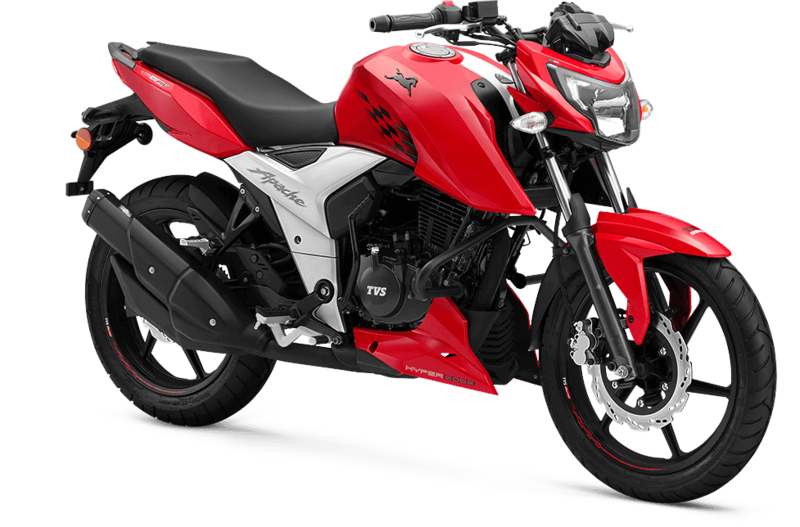 Hero xtreme 200 R - Its design is based on hero xtreme 200 R but specs are totally different. Fifth best bike under 1 lakh. best bikes under 80000 are TVs apache 160 4v, Hero Xtreme 200R, etc. To know about every best bikes under 80000 read the full post. 1. 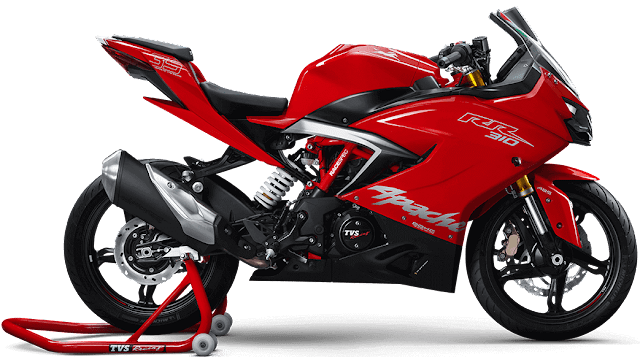 Tvs Apache RTR 160 4v - This bike comes in three variant one with the carburettor and rear drum brake, second with the carburettor and both disc brakes and third with fuel injection and both disc brakes. In this post, we will talk about carburettor and dual disc version. So this bike comes with 159.7cc single cylinder, 4-stroke OHC, SI engine which can produce the max power of 16.5 bhp @ 8000 rpm and the max torque of 14.8 NM @ 6500 rpm, it has a single cylinder and 4 valves per cylinder. The fuel supply system is carburettor and ignition is TCI- transistor controlled ignition. Its fuel tank capacity is of 12 litres claimed mileage of this bike is 60 km per litre but when I tested it it was giving the mileage of 54 km per litre. But only when you will drive it between 40-60 km per hour. Claimed top speed of this bike is 113 km per hour but when I was riding this bike it was reaching to 125 km per hour very easily. First bike in the category of best bikes under 80000. It can reach 0-60 in 4.73 seconds and 0-100 in 15.7 seconds. This bike has 5-speed gearbox. It has telescopic forks as front suspension and monoshox as rear suspension. Size of the front tyre is 90/90-17 and size of rear tyre is 130/70-17. It has tubeless tyres, wheel size is 17 inch. Its weight is 145 kg and ground clearance is 180 mm. Its standard warranty is of 3 years or 30,000 km. Everything in the other two models is same accept tyre size and power. Power in fuel injection variant is 16.8 bhp @ 8000 rpm and power in carburettor variant is 16.5 bhp @8000 rpm. Tyre size in carburettor with rear drum brake is 90/90-70 as front section tyre and 110/80-17 as rear section tyre and other two variants have 90/90-17 as front tyre and 130/70-17 as a rear tyre. 2. Hero Xtreme 200 R - It has 199.6 ccs air-cooled, single cylinder, 4-stroke, 2-valve OHC engine. Which produces the max power of 18.35 bhp @ 8,000 rpm and the max torque of 17.1 nm @ 6,500 rpm. It has a single cylinder and 4 valves per cylinder. It has Carburetor as fuel delivery system. This bike has the fuel tank capacity of 12.4 liters and can give the mileage of 39 km per liter and it's claimed top speed is 114 km per hour but it can reach 125 km per hour very easily. It has the 5-speed gearbox. Second bike in the category of best bikes under 80000. Disc brakes in both the tyres and you also get ABS which is dual channel. It gets telescopic hydraulic type (37 mm dia) with anti-friction bush as front suspension and 7 step adjustable mono shocks as rear suspension. It gets 100/80 17 section front tyres and 130/70-R17 section rear tyres. Wheel size is 17 inch for both the tyres and both the tyres are tubeless. It kerb weight is of 146 kg and the ground clearance is of 167 mm. 3. 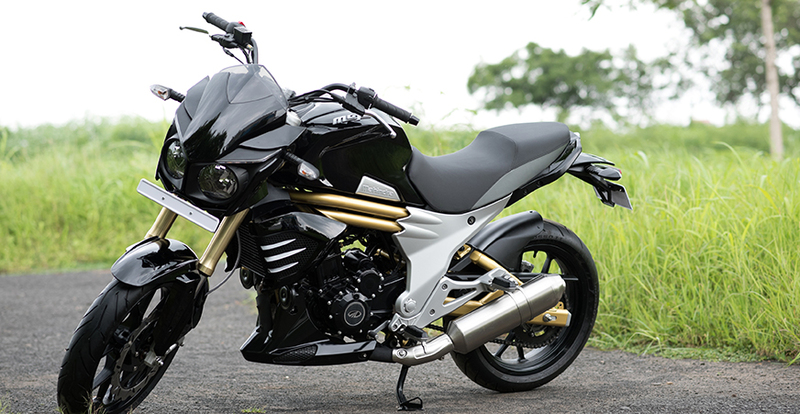 Yamaha FZ-s Fi - 2.0 - It comes with a single cylinder,4-stroke, 2-valve SOHC engine. Whos displacement is 149 cc. Which can produce the max power of 13.2 bhp @8,000 rpm and the max torque of 12.8 nm @6,000 rpm. It has 57.3 mm bore and 57.9mm stroke. This bike comes with the cylinder and 2-valves per cylinder. Drive type is chain drive, the fuel delivery system is fuel injection. Supported fuel type is petrol. It has TCI ignition. This bike has 5-speed manual gearbox. The company claims it's mileage up to - 60 km per liter but in real life, it can give the mileage of 54 km per liter in the city. Third bike in the category of best bikes under 80000. It reaches the top speed of 109 km per hour. It has a disc brake in both the tyres. This bike has a diamond type chassis. The front suspension is telescopic and in rear, it has a mono shock. Wheels size is 17 inch for rear and front both. Tyre size is 100/80-17 for front and 140/60-17 for the rear tyre. Tyre are tubeless and are by MRF brand. Wheels type are alloys. It ground clearance is 160 mm, Wheels base is 1330 mm.Length*width*height* are 2060*770*1050. Seat height is 790 mm. Total fuel tank capacity is of 12 liters and the kerb weight is 133 kg. It has halogen headlight, LED tail light and battery is 12-4AH. 4. Tvs Radeon- It comes with 109.7 ccs single cylinder motor which gives the max power of 8.4 bhp @ 7000 rpm and max torque of 8.7 nm @ 5000 rpm. It has a 4-speed gearbox and is available with kick and self start both. It has tubeless tyres with alloys. No disc brakes only drum brakes and fueling system is carbureted. It gets a 5 years warranty. claimed mileage is 69.3 km per litre. Fourth bike in the category of best bikes under 80000. 5. 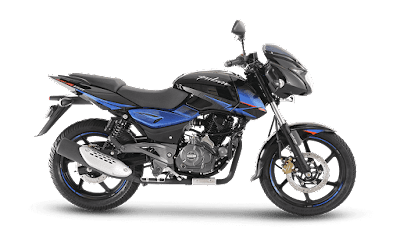 Suzuki gixxer- This bike comes with 154.9 ccs single cylinder, 4-stroke, 2-valve SOHC engine which delivers the max power of 14.8 bhp @8,000 rpm and the max torque of 14 NM @ 6,000 rpm. It has a single cylinder, 2 valves per cylinder, carburettor as fuel delivery system and CDI digital ignition. Its fuel tank capacity is of 12 litres and the company claims the mileage of 60 km per litre but the bike can give the mileage of 55 km per litre. Claimed top speed of this bike is 115 km per hour but in reality, this bike reaches up to 120 km per litre. It has a 5-speed gearbox, It has a disc brake in both the tyres. It has telescopic front suspension and swing arm mono suspension in the rear. Ground clearance of this bike is 160 mm and the kerb weight of this bike is 135 kg. It gets 100/80-17 section front tyres and 140/60-R17 section rear tyres which are tubeless and wheel size is 17 inch. The best thing about this bike is it's also come with an ABS as an option. The price of this bike starts from rupees 79 thousand and goes up to 88 thousand rupees ex-showroom Chandigarh. Fifth bike in the category of best bikes under 80000. 6. Bajaj Pulsar 160 ns- This bike comes with 160.3 ccs single cylinder engine which produces the max power of 15.5bhp@8500 rpm and the max torque of 14.6 nm @6500 rpm. It has one cylinder and 4 valves per cylinder. It has digital twin spark ignition. Its fuel tank is of 12 litres. It can give the mileage of 50 km per litre. This bike can reach a top speed of 120 km per hour. It can reach 0-60 in 5.30 seconds and 0-100 in 16.5 seconds. Which has 5-speed gearbox. This bike gets disc brakes in both the tyres. It gets telescopic with anti-friction bush front suspension and mono shock absorber with the canister as rear suspension. It has 80/100-17 section tyres in front and 110/80-17 as a rear tyre. Wheel size is of 17 inches with tubeless tyres. Its weight is 142 kg and ground clearance is 176 mm. Sixth bike in the category of best bikes under 80000. 7. 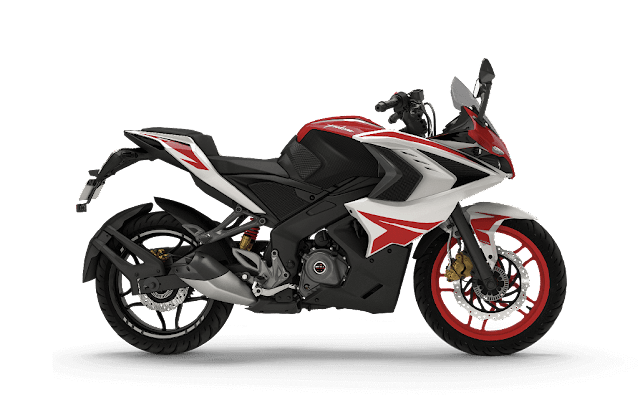 Bajaj Pulsar 150 (Rear disc) - Fourth bike in the category of new bikes by Bajaj so This bike comes with 1499cc single cylinder, 4-stroke, 2-valve with twin spark ignition DTSi engine which produces the max power of 14 bhp @8,000 rpm and the max torque of 13.4 nm @ 6,000 rpm. It has carburettor as fuel supply system and CDI as the Ignition system. Its fuel tank capacity is of 15 litres and it can give the mileage of 55 km per litre. It can reach the top speed 115 km per hour. This bike can reach 0-60 in 5.7 seconds And has 5-speed gearbox. The bike has disc brakes in both the tyres. It has telescopic anti-friction bush as front suspension and 5 way adjustable Nitrox shock absorbers as rear suspension. It gets 80/100-17 section front tyre and 100/90-17 section rear tyre which are tubeless tyres. Its kerb weight is of 144 kg and ground clearance is of 165 mm. Seventh bike in the category of best bikes under 80000.
best bikes in India under 1.5 lakh are Yamaha R15 v3, Yamaha Fz 25, Bajaj pulsar 200 rs, TVs apache rtr 200 4v, Bajaj pulsar 200 ns, Ktm duke 125, Hero Xtreme 200R, TVs apache 160 4v. Hi, friends, my name is Yogesh and you are on www.wheelsbest.com. Today we are talking about best bikes in India under 1.5 lakh. So let's start without wasting any more time. 1. Yamaha R15 v3- It is a 155 cc single cylinder bike. Gives 18.7 bhp at 10,000 rpm which kicks out 15 Nm of torque at 8,500 rpm. It is a fuel injected bike which has a liquid cooled engine. Its fuel tank capacity is of 11 litres and gives an average between 32 to 36 km per litre. Its ex-showroom price in Chandigarh is 1,38,000 RS. I know this bike is only of 155 cc bike and it is a little bit expensive but you can not find any other 150 cc bike better than this bike. because it is one of the most powerful variants of 150 cc bikes available in India and one the most aggressive looking bike in 150 cc segment. but It is also true that in this price segment some bikes are offering more power. First bike in best bikes in India under 1.5 lakh. 2. 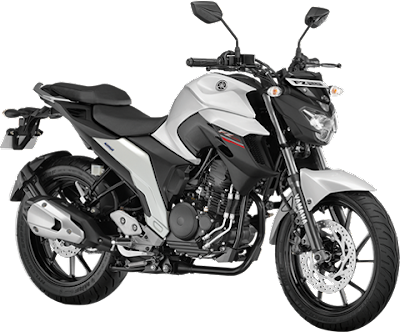 Yamaha Fz 25- It gets a single cylinder,4-stroke, 2-valve SOHC engine. Whos displacement is 249 cc. Which can produce the max power of 20.9 bhp @8,000 rpm and the max torque of 20 nm @6,000 rpm. It has 74 mm bore and 58 mm stroke. This bike comes with the cylinder and 2-valves per cylinder. Drive type is chain drive, the fuel delivery system is fuel injection. Supported fuel type is petrol. It has TCI ignition. This bike reaches the top speed of 130 km per hour. It has a disc brake in both the tyres.it can give the mileage of 45 km per liter in the city. This bike has 5-speed manual gearbox. This bike has a diamond type chassis. The front suspension is a telescopic fork and in rear, it has a Swing arm (mono cross). Second bike in best bikes in India under 1.5 lakh. Length*width*height* are 2075*770*1070. Seat height is 795 mm. Total fuel tank capacity is of 14 liters and the kerb weight is 148 kg. 3. 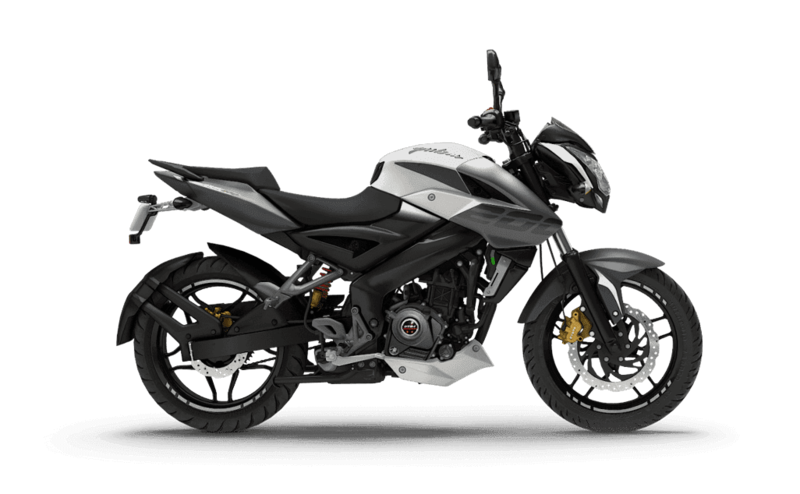 Bajaj pulsar 200 rs- So this is the ninth bike in the category of Bajaj bikes. This bike comes with a single cylinder, 4 valve, triple spark DTSI engine. It has 199.5 cc motor which is capable of producing the max power 24.5 BHP @9,750 rpm and the max torque of 18.6 nm @ 8,000 rpm. It has fuel injection as a fuel delivery system and inductive dc ignition system. Claimed top speed of this bike is 145 km per hour but according to my ride experience, it can reach easily upto 154 km per hour. It can reach 0-60 in 3.3 seconds and 0-100 in 10.14 seconds. It has a liquid cooled as the cooling system and 6 speed gear box. It's fuel tank capacity is 13 litres and can give the mileage of 35 km per liters. It has disc brakes in both the tyres. Front disc size is of 300 mm and rear disc size is 230 mm. Wheel size is 17 inch with alloys and tubeless tyres. Front suspension is telescopic front fork suspension and rear suspension is Nitrox Mono shock absorber. Weight of this bike is 165 kg and ground clearance is 157 mm. This bike also comes with ABS as an option. Price of this starts from 1 lakh 27 thousand rupees and goes upto 1 lakh 38 thousand rupees ex showroom. Third bike in best bikes in India under 1.5 lakh. 4. Hero xtreme 200 R - It has 199.6 cc air cooled, single cylinder, 4-stroke, 2-valve OHC engine. Which produces the max power of 18.35 bhp @ 8,000 rpm and the max torque of 17.1 nm @ 6,500 rpm. It has a single cylinder and 4 valves per cylinder. It has Carburetor as fuel delivery system. This bike has the fuel tank capacity of 12.4 liters and can give the mileage of 39 km per liter and it's claimed top speed is 114 km per hour but it can reach 125 km per hour very easily. It has the 5 speed gear box. Disc brakes in both the tyres and you also get ABS which is duel channel. It gets telescopic hydraulic type (37 mm dia) with anti friction bush as front suspension and 7 step adjustable mono shocks as rear suspension. It get's 100/80 17 section front tyres and 130/70-R17 section rear tyres. Wheel size is 17 inch for both the tyres and both the tyres are tubeless. It ker weight is of 146 kg and the groud clearance is of 167 mm. Fourth bike in best bikes in India under 1.5 lakh. Price of this bike is RS 89,900 ex-showroom chandigarh. 5. 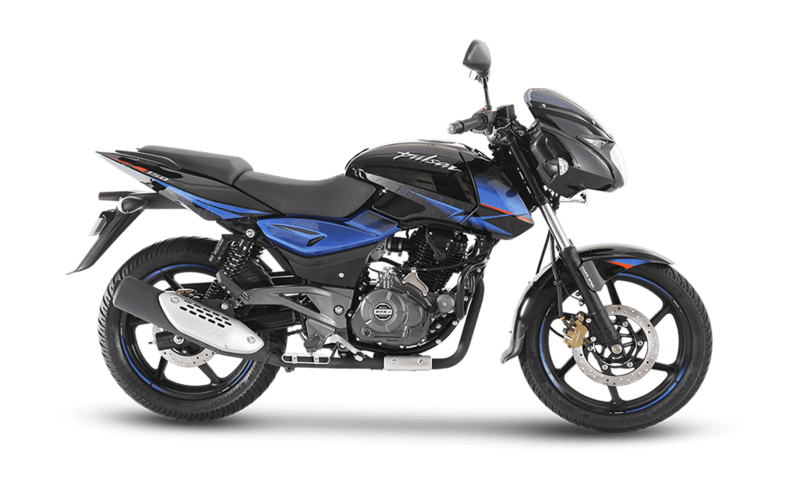 Bajaj pulsar 200 ns- So this is the eighth bike in the category of Bajaj bikes. This bike comes with 199.5cc single cylinder motor which is capable of producing the max power 23.2 bhp @ 9,500 rpm and the max torque of 18.2 rpm @8,000 rpm. It has 4 valves per cylinder and has carburetor as fuel delivery system. This has independent spark control through ECU as ignition and 3 spark plugs per cylinder. It has a liquid cooled as a cooling system and 6 speed gearbox. Both of it brakes are disc brakes front brake size is of 280 mm and rear brake size is of 230 mm, wheel size is of 17 inch and both the tyres are tubeless tyres with alloys. It's a front suspension is telescopic front fork suspension. and nitrox mono shock absorbers as rear suspension. It's weight is 152 kg and ground clearance is 167 mm. It can give the mileage of 40 km per litre on highways and 36 km per litre in cities. Company claims it's top speed upto 137 km per hour but according to my ride experience it can reach upto 142 km per hour very easily. It can reach 0-60 in 4.6 seconds and 0-100 in 12.50 seconds. This bike is also comes with ABS as an option. price of this bike starts from 99,000 rupees and goes upto 1,12,000 rupees ex showroom. But the prices may vary in different places. Fifth bike in best bikes in India under 1.5 lakh. 6. Tvs apache 200 4v- This bike is powered by 197.75 cc motar with a single cylinder. which delivers the max power of 20.7 BHP @9,000 rpm and max torque of 18.1 NM @ 7,000 rpm. It has 4 valves per cylinder. Fuel delivery system is carbureted. It has a single spark plug and has an oil-cooled cooling system. It has 5 speed gear box. Company claims it mileage of 40 km per liter but it gives 40 km per liter on highways and in cities, it gives 37 km per liter. Company claims it's the top speed of 127 km per hour but it can go up to 135 km per hour. Sixth bike in best bikes in India under 1.5 lakh. It reaches 0-60 in 4.11 sec and 0-100 in 13050 sec. 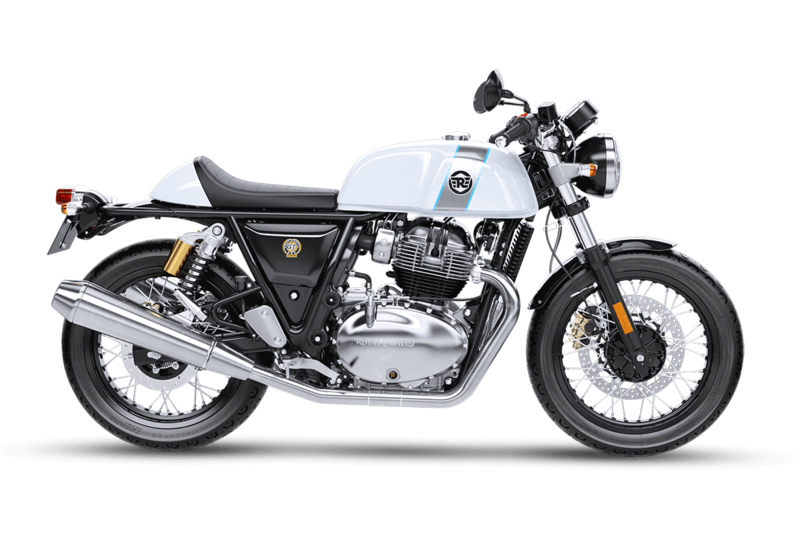 One thing I like the most about this bike is that this bike comes with front channel ABS as an option but that model is 12 thousand rupees costlier than the regular one. Price of this bike starts from 97 thousand to 1 lakh 10 thousand rupees. but prices may vary in different places. 7. 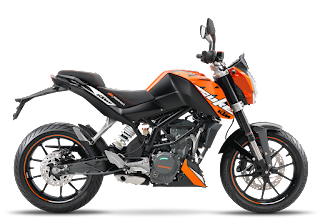 Ktm duke 125- It comes with a liquid cooled, single cylinder, 4-valve, DOHC type engine. Who's displacement is 124.7cc. Which delivers the max power of 14.5 bhp@9,250 rpm and the max torque of 12 nm @8,000 rpm. It comes with 58 mm bore and 47.2 mm stroke. No. of cylinders are 1. drive type is chain drive. It has 4-valves per cylinder. Fuel delivery system is fuel injection. Supported fuel type is petrol. It has 6-speed manual gearbox. Disc brakes are in both the tyres. It has trellis frame as chassis type, telescopic fork as front suspension and mono shock suspension in the rear. Front tyre size is 110/70-R17, rear tyre size is 150/60-r17. Wheels size is 17 inch for both the wheels. Tyre type is tubeless, wheels type is the alloy wheels. Length *width*height are 1993*789*1083,Ground clearance is 175 mm. Seat height is 818 mm. Total fuel tank capacity is 10.2 litres. Kerb weight is 158 kg. Seventh bike in best bikes in India under 1.5 lakh. 8. Tvs apache 160 4v- This bike comes in three variant one with the carburetor and rear drum brake, second with the carburetor and both disc brakes and third with fuel injection and both disc brakes. In this post, we will talk about carburetor and duel disc version. So this bike comes with 159.7cc single cylinder, 4-stroke OHC, SI engine which can produce the max power of 16.5 bhp @ 8000 rpm and the max torque of 14.8 NM @ 6500 rpm, it has a single cylinder and 4 valves per cylinder. Fuel supply system is carburetor and ignition is TCI- transistor controlled ignition. It's fuel tank capacity is of 12 litres claimed mileage of this bike is 60 km per litre but when I tested it it was giving the mileage of 54 km per litre. It can reach 0-60 in 4.73 seconds and 0-100 in 15.7 seconds. This bike has 5 speed gear box. It has telescopic forks as front suspension and monoshox as rear suspension. Size of the front tyre is 90/90-17 and size of rear tyre is 130/70-17. It has tubeless tyres, wheel size is 17 inch. It's weight is 145 kg and ground clearance is 180 mm. It's standard warranty is of 3 years or 30,000 km. Every thing in the other two models are same accept tyre size and power. Power in fuel injection variant is 16.8 bhp @ 8000 rpm and power in carburetor variant is 16.5 bhp @8000 rpm. Tyre size in carburetor with rear drum brake is 90/90-70 as front section tyre and 110/80-17 as rear section tyre and other two variants have 90/90-17 as front tyre and 130/70-17 as a rear tyre. Eighth bike in best bikes in India under 1.5 lakh. Yamaha bikes fz - There are two types of Yamaha Fz First is Fz- s Fi 2.0 and second is Yamaha Fz 25. Hi friends my name Yogesh, You are on www.wheelsbest.com. Today we will talk about all the variants of Yamaha Fz. So let's start without wasting any more time. 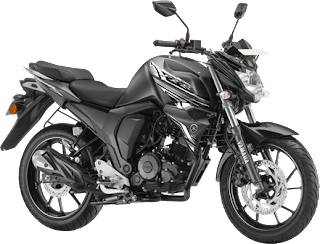 It comes with a single cylinder,4-stroke, 2-valve SOHC engine. Whos displacement is 149 cc. Which can produce the max power of 13.2 bhp @8,000 rpm and the max torque of 12.8 nm @6,000 rpm. It has 57.3 mm bore and 57.9mm stroke. This bike comes with the cylinder and 2-valves per cylinder. Drive type is chain drive, the fuel delivery system is fuel injection. Supported fuel type is petrol. It has TCI ignition. This bike has 5-speed manual gearbox. The company claims it's mileage up to - 60 km per liter but in real life, it can give the mileage of 54 km per liter in the city. Body graphics-Yes, starting - self start only, speedometer- digital, tachometer- digital, Trip meter- digital, Average fuel economy- Yes, Digital fuel indicator- Yes, Low fuel warning lamp- yes, Clock - no, Step up seat- yes, Passenger back rest - no, Carry hook - no. Specs- It gets a single cylinder,4-stroke, 2-valve SOHC engine. Whos displacement is 249 cc. Which can produce the max power of 20.9 bhp @8,000 rpm and the max torque of 20 nm @6,000 rpm. It has 74 mm bore and 58 mm stroke. This bike comes with the cylinder and 2-valves per cylinder. Drive type is chain drive, the fuel delivery system is fuel injection. Supported fuel type is petrol. It has TCI ignition. It reaches the top speed of 130 km per hour. It has a disc brake in both the tyres.it can give the mileage of 45 km per litre in the city. This bike has 5-speed manual gearbox. This bike has a diamond type chassis. The front suspension is a telescopic fork and in rear, it has a Swing arm (mono cross). Length*width*height* are 2075*770*1070. Seat height is 795 mm. Total fuel tank capacity is of 14 litres and the kerb weight is 148 kg. Body graphics-Yes, starting - self start only, speedometer- digital, tachometer- digital, Trip meter- digital, Average fuel economy- Yes , Digital fuel indicator- Yes, Low fuel warning lamp- yes, Clock - yes, Step up seat- yes, Passenger back rest - no, Carry hook - no, Passenger foot rest- Yes. So this was all about Yamaha bikes fz now let's talk about some similar bikes. ignition. Its fuel tank capacity is of 12 litres claimed mileage of this bike is 60 km per litre but when I tested it it was giving the mileage of 54 km per litre. But only when you will drive it between 40-60 km per hour. Claimed top speed of this bike is 113 km per hour but when I was riding this bike it was reaching to 125 km per hour very easily. It can reach 0-60 in 4.73 seconds and 0-100 in 15.7 seconds. It has 5-speed gearbox. It has telescopic forks as front suspension and monoshox as rear suspension. Size of the front tyre is 90/90-17 and size of rear tyre is 130/70-17. It has tubeless tyres, wheel size is 17 inch. Its weight is 145 kg and ground clearance is 180 mm. Its standard warranty is of 3 years or 30,000 km. Everything in the other two models are same accept tyre size and power. Power in fuel injection variant is 16.8 bhp @ 8000 rpm and power in carburettor variant is 16.5 bhp @8000 rpm. Tyre size in carburettor with rear drum brake is 90/90-70 as front section tyre and 110/80-17 as rear section tyre and other two variants have 90/90-17 as front tyre and 13/70-17 as a rear tyre. Price of this bike starts from rs 84,887 - 88,137 ex-showroom Chandigarh, prices may vary in different places. Second best bike in India in 2018.
ktm duke 125- The real pocket rocket by KTM is priced at rupees 1.2 lakhs. 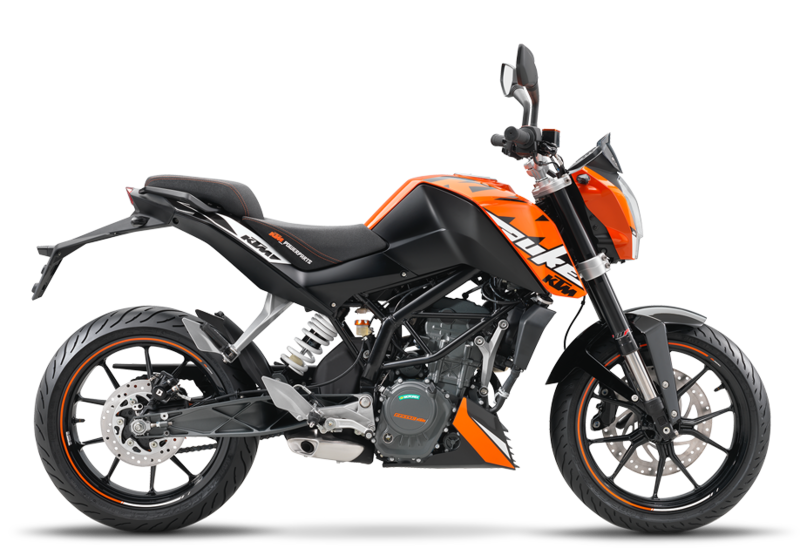 It is a cc bike in the same design of KTM Duke 200. It comes with a single channel ABS as standard. It looks same as the Duke 200 but with some minor sticker changes. So if you will ride Ktm duke 125 people might think you are riding duke 200. It is not a regular 125 cc bike it is much faster than that and more feature-loaded than that. It reaches 0-60 in almost 6 seconds and can reach the top speed of 115 km per hour. Which is more than any other regular 125 cc bike. It delivers the max power of 14.5 bhp @9,250 rpm and the max torque of 12 nm @8,000 rpm. This bike gets the 6-speed gearbox and single-channel ABS. It gets MRF REV2 radial tyres. It comes with a liquid cooled, single cylinder, 4-valve, DOHC type engine. Who's displacement is 124.7cc. Which delivers the max power of 14.5 bhp@9,250 rpm and the max torque of 12 nm @8,000 rpm. It comes with 58 mm bore and 47.2 mm stroke. No. of cylinders are 1. drive type is chain drive. It has 4-valves per cylinder. Fuel delivery system is fuel injection. Supported fuel type is petrol. It has 6-speed manual gearbox. Disc brakes are in both the tyres. It has trellis frame as chassis type, telescopic fork as front suspension and mono shock suspension in the rear. Front tyre size is 110/70-R17, rear tyre size is 150/60-r17. Wheels size is 17 inch for both the wheels. Tyre type is tubeless, wheels type is the alloy wheels. Length *width*height are 1993*789*1083,Ground clearance is 175 mm. Seat height is 818 mm. Total fuel tank capacity is 10.2 litres. Kerb weight is 158 kg. My answer is no because ktm duke 125 global variant is much more aggressive in styling than the Indian variant. Because it's global variant comes duke 390 styling, split Led head lamp, coloured TFT screen. Which we did not get in duke 200. This fact is also true that there are much better bikes available in the market in this price with more power, more torque and more features. For example- TVS apache rtr 160 4v, TVS apache rtr200 4v, bajaj pulsar 200 ns, Bajaj Pulsar 220. These all bikes are almost 20,00 rupees cheaper than the ktm duke 125. 1. Tvs apache 200 4v - This bike is powered by 197.75 cc motor with a single cylinder. which delivers the max power of 20.7 BHP @9,000 rpm and max torque of 18.1 NM @ 7,000 rpm. It has 4 valves per cylinder. Fuel delivery system is carbureted. It has a single spark plug and has an oil-cooled cooling system. It has 5-speed gearbox. The company claims it mileage of 40 km per litre but it gives 40 km per litre on highways and in cities, it gives 37 km per litre. The company claims it's the top speed of 127 km per hour but it can go up to 135 km per hour. Top first bike in Best sports bike in India under 1 lakh. 2. 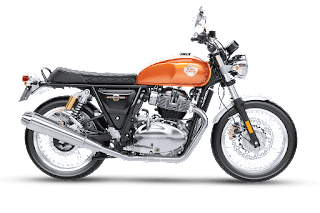 Apace rtr 160 4v - This bike comes in three variant one with a carburettor and rear drum brake, second with a carburettor and both disc brakes and third with fuel injection and both disc brakes. In this post, we will talk about carburettor and dual disc version. So this bike comes with 159.7cc single cylinder, 4-stroke OHC, SI engine which can produce the max power of 16.5 bhp @ 8000 rpm and the max torque of 14.8 NM @ 6500 rpm, it has a single cylinder and 4 valves per cylinder. The fuel supply system is carburettor and ignition is TCI- transistor controlled ignition. Its fuel tank capacity is of 12 litres claimed mileage of this bike is 60 km per litre but when I tested it it was giving the mileage of 54 km per litre. Top fourth bike in Best sports bike in India under 1 lakh. Everything in the other two models are same accept tyre size and power. Power in fuel injection variant is 16.8 bhp @ 8000 rpm and power in carburettor variant is 16.5 bhp @8000 rpm. Tyre size in carburettor with rear drum brake is 90/90-70 as front section tyre and 110/80-17 as rear section tyre and other two variants have 90/90-17 as front tyre and 130/70-17 as a rear tyre. 3. Bajaj Pulsar 200 ns - This bike comes with 199.5cc single cylinder motor which is capable of producing the max power 23.2 bhp @ 9,500 rpm and the max torque of 18.2 rpm @8,000 rpm. It has 4 valves per cylinder and has carburettor as fuel delivery system. This has independent spark control through ECU as ignition and 3 spark plugs per cylinder. It has a liquid cooled as a cooling system and 6-speed gearbox. Both of it brakes are disc brakes front brake size is of 280 mm and rear brake size is of 230 mm, wheel size is of 17 inch and both the tyres are tubeless tyres with alloys. Its a front suspension is telescopic front fork suspension. and nitrox mono shock absorbers as rear suspension. Top second bike Best sports bike in India under 1 lakh. Its weight is 152 kg and ground clearance is 167 mm. It can give the mileage of 40 km per litre on highways and 36 km per litre in cities. The company claims it's top speed up to 137 km per hour but according to my ride experience it can reach up to 142 km per hour very easily. It can reach 0-60 in 4.6 seconds and 0-100 in 12.50 seconds. This bike also comes with ABS as an option. the price of this bike starts from 99,000 rupees and goes up to 1,12,000 rupees ex-showroom. But the prices may vary in different places. 4. 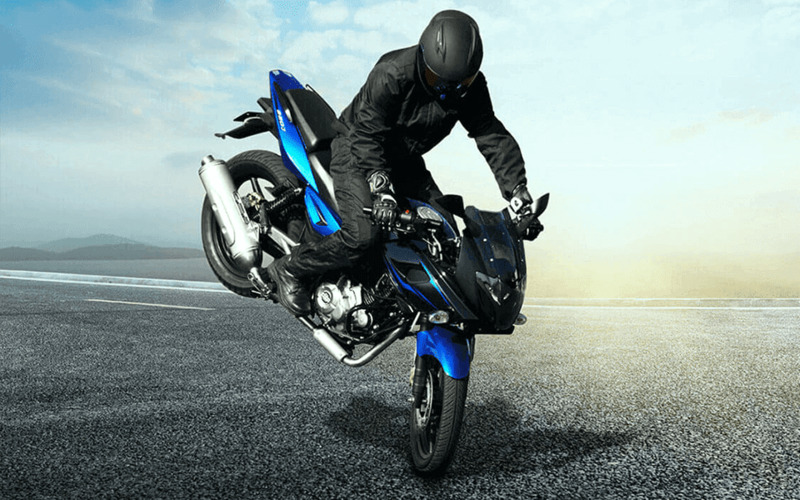 Bajaj Pulsar 220f - So this is the seventh bike in the category of Bajaj bikes. This bike comes with 220 ccs single cylinder, 4-stroke, 2-valve, twin spark DTSi engine. Which produces the max power of 20.93 bhp @ 8,500 rpm and the max torque of 18.55 Nm @7,000 rpm. It has carburettor as fuel supply system and ignition is digital twin spark ignition. Fuel tank capacity is of 15 litres and can give the mileage of 42 km per litres. It can reach the top speed of 138 km per hour and reaches 0-60 in 3.9 seconds and 0-100 in 13. 30 sec. It has 5-speed gearbox. It has telescopic anti-friction bush as front suspension and 5-way adjustable Nitrox shock absorbers as rear suspension. It has 90/90-17 section front tyre and 120/80-17 section rear tyres which are tubeless. Kerb weight is 155 kg and ground clearance is 165mm. You can get this bike in rupees 93,000 ex-showroom Chandigarh. So these were the bikes which are much better than KTMduke 125. So this was all about ktm duke 125, Thankyou. 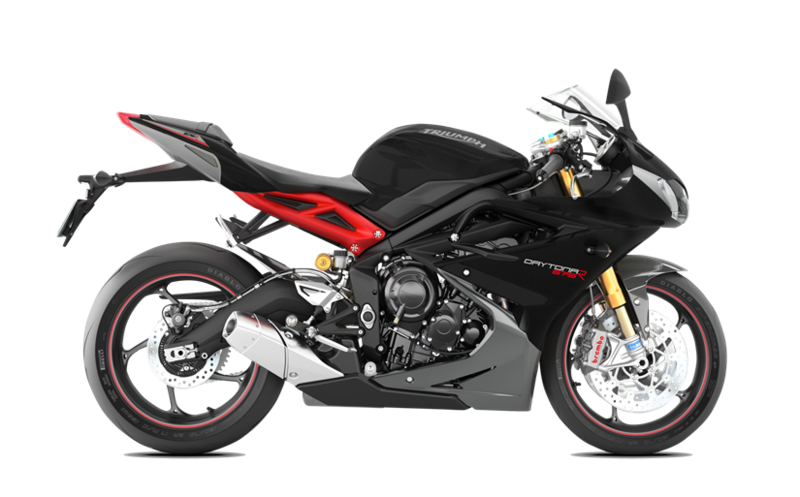 600cc bikes in India are triumph Daytona 675r, Honda CBR 650r, Benali TNT 600i, Kawasaki z 900, Royal Enfield Interceptor, and Royal Enfield continental gt. There are a lot's in India in 600 cc category.so welcome to my website. My name is Yogesh. let's start talking about the topic 600cc bikes in India without wasting any more time. 1. Triumph Daytona 675r - It is a 675 cc bike which produces the max power of 115.28 BHP @ 12,305 rpm and the max torque of 70.02 NM @ 9,900 rpm. It has 76 mm bore and 49 mm stroke. This bike has 3 cylinders and 4-valves per cylinder and one spark plug for each cylinder. It has fuel injection with SAI as fuel delivery system. Supported fuel type is petrol. Ignition is digital CDI ignition. It has the liquid cooled as a cooling system with 6-speed manual gearbox. Transmission type is chain drive. The supported clutch is wet, multi-plate, slipper clutch. It has disc brakes in both the tires, front brake size is 310 mm and rear brake size is 220 mm. It has Brembo 4-piston radial mono-block callipers. Both of its wheels sizes are 17 inches. It has 120/70 ZR 17 section front tires and 160/55 ZR 17 section rear tires. Tire type is tubeless and radial. The front suspension is 43 mm upside-down NIX 30 forks with adjustable prelo and TTx36 twin tube mono shock with the piggyback reservoir as rear suspension. 2. Royal Enfield Interceptor - It has 4-stroke, parallel twin, single overhead camshaft (SOHC) type engine and 648 cc engine which produces the max power of 47.65 bhp @7,100 rpm and the max torque of 52 nm @ 4,000 rpm. It has 2 cylinders and 4-valves per cylinder. It has fuel injection as a fuel delivery system and a digital spark ignition system. It has 6-speed gearbox. It gets telescopic fork as front suspension and twin coil over shocks as rear suspension. It gets 100/90-18 as front section tires and 130/70-18 as rear section tire. Tires are tubeless but the downside is that it doesn't get alloys it gets regular spokes as other royal enfields. Its fuel tank capacity is of 13.5 litres and it can give the mileage between 20-24 km per litre. Its curb weight is of 202 kg. Ground clearance is of 174 mm. and the best part it gets duel channel ABS as standard. 3. 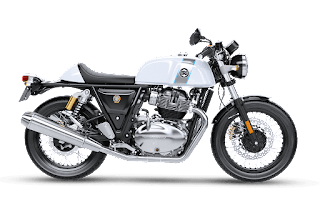 Royal Enfield continental gt - It has 4-stroke, parallel twin, single overhead camshaft (SOHC) type engine and 648 cc engine which produces the max power of 47.65 bhp @7,100 rpm and the max torque of 52 nm @ 4,000 rpm. It has 2 cylinders and 4-valves per cylinder. It has fuel injection as a fuel delivery system and a digital spark ignition system. It has 6-speed gearbox. It gets telescopic fork as front suspension and twin coil over shocks as rear suspension. It gets 100/90-18 as front section tires and 130/70-18 as rear section tire. Tires are tubeless but the downside is that it doesn't get alloys it gets regular spokes as other royal enfields. Its fuel tank capacity is of 12.5 litres and it can give the mileage between 20-25 km per litre. Its curb weight is of 198 kg ( 200 kg ) approx. Ground clearance is of 174 mm. and the best part it gets duel channel ABS as standard. 4. 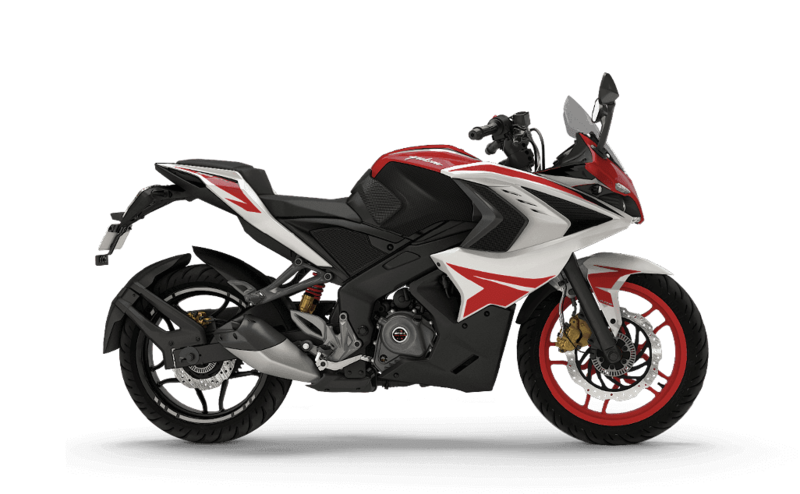 Honda CBR 650r- It comes with Inline 4 cylinder, 4-stroke,16-valves DOHC type engine. Who's Displacement is 648.72 cc. Which produces the max power of 86.6 bhp @11,000 rpm and the max torque of 60.5 nm @8,500 rpm. It has a 67mm bore and 46mm stroke. Drive type is chain drive. Total no. of cylinders are 4 and 4-valves per cylinder also. Fuel delivery system is fuel injection. Supported fuel type is petrol. It has digital transistorised with electronic advance ignition. This bike has 6-speed manual transmission. Both of its brakes are disc brakes. It gives the mileage of 27 km per litre in city and 25 km per litre on highways. It reaches the top speed of 180 km per litre. It has a diamond type chassis. The front suspension is SDBV telescopic fork suspension and pro-link as rear suspension. It gets 120/70-Zr-17 Section front tyres and 180/55-ZR17 section rear tyres. wheels size is 17 inch for both front and rear tyre. It has tubeless tyres and wheels type are alloys. Wheels base is 1449mm, Ground clearance is 133mm, seat height is 810 mm, Fuel tank capacity is 17.3 litres. Kerb weight is 216 kg. 5. Benali TNT 600i- It comes with Inline 4 cylinder, 4-stroke,16-valves DOHC type engine. Who's Displacement is 600 cc. Which produces the max power of 86.24 bhp @11,500 rpm and the max torque of 54.6 nm @ 10500 rpm. It has a 65 mm bore and 45.2 mm stroke. Drive type is chain drive. Total no. of cylinders are 4 and 4-valves per cylinder. Fuel delivery system is fuel injection. Supported fuel type is petrol. It has an electric ignition. This bike has 6-speed manual transmission. Both of its brakes are disc brakes. Mileage is 18 km per litre. Top speed is 230 km per litre. 6. Kawasaki z 900- It has 948cc In-line four, 4-stroke,16 valves, DOHC engine. Which produces the max power of 125 bhp @ 9,500 rpm and the max torque of 98.6 NM @7,700 rpm. It gets 4-cylinders and 4-valves per cylinder. It has fuel injection as a fuel delivery system and has a digital ignition system. It has a 17-litre fuel tank and can give the mileage of 16 km per litre in city and 22 km per litre on highways. It's claimed top speed is of 194 km per hour but actually, in real life, it can touch 240 km per hour very easily. It reaches 0-60 in 2.29 seconds and 0-100 in 3.70 seconds. It has a 6-speed gearbox. It has disc brakes in both the tyres. It gets Trellis, high-tensile steel type chassis with 41 mm inverted fork with rebound damping and spring preload adjustability / 120mm as front suspension and horizontal back-link with rebound damping and spring preload adjustability / 140mm as rear suspension. It gets 120/70-ZR17 section front tyres and 180/55-ZR17 section rear tyres. wheel size is 17 inch and tyres are tubeless. Now it's features it comes with dual channel ABS, digital speedometer, digital tachometer, digital trip meter digital fuel indicator and digital clock. It has the ground clearance of 130 mm and its kerb weight is of 210 kg. Mahindra mojo 300 is an adventure touring bike. Which was manufactured by Mahindra and mahindra. Whoes ex-showroom price is 1 lakh 50 thousand rupees. Mahindra launched it's Mahindra mojo 300 on 16 october 2015. Which is an adventure touring bike in the category of 300 cc bike. This bike weighs around 182. It's kerb weight is 165 kg (dry weight). It get's single cylinder 4-stroke,DOHC, SI type engine. Whos discplacement is 295cc. Which produces the max power of 27.19 BHP @8,000 RPM and the max torque of 30 NM @5,500 rpm. This bike is a single cylinder bike and it has 4- valves per cylinder.Supported fuel type is petrol. Ignition is ECU (electronic control unit. It has liquid cooled as cooling system. This bike comes with 6 speed mannual gear box. Transmission type is chain drive. It has fuel injection as fuel delivery system. Clutch is wet multiplate. 1. 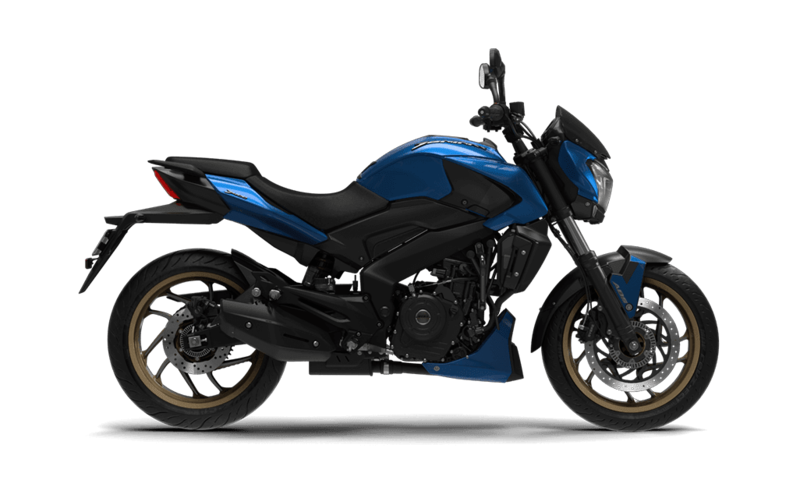 Bajaj diminar - This bike comes with 373.3 cc single cylinder, 4-valve, triple spark DTSi engine. Which produces the max power of 35 bhp @8,000 rpm and the max torque of 35 nm @6,500 rpm. It has single cylinder and 4-valves per cylinder and the fuel delivery system is fuel injection.It has 13 liter fuel tank and the bike gives the mileage of 28 km per liter. Company claims it top speed up to 150 km per hour but trust me friend this bike goes up to 162 km per hour very easily. It can reach 0-60 in 2.8 seconds and 0-100 in 6.28 seconds.It has a 6 speed gear box.It get's disc brakes in both the tyres. It get's telescopic 43 mm forks as front suspension and multi step adjustable mono shock as rear suspension. It get's 110/70-17 as front section tyre and 150/60-17 as rear section tyres which are tubeless too. It's weight is of 182 kg and ground clearance is of 157 mm. This bike is available with ABS as option. Price of Bajaj dominar 400 std is 1 lakh 48 thousand ex-showroom Chandigarh. 2. Ktm duke 390 - This bike comes with 373.2 cc single cylinder, 4-stroke engine. Which produces the max power of 43.5 bhp@9,000 rpm and the max torque of 37 nm @7,000 rpm. It has single cylinder and 4 valves per cylinder and has fuel injection as fuel delivery system. Ignition system is contact less, controlled,fully electronic ignition system with digital ignition timing adjustment and have liquid cooled as cooling system. It has the fuel capacity of 13.4 liters and can give the mileage of 28.5 km per liter. It can reach the top speed of 170 km per hour and can reach 0-60 in 2.56 seconds and 0-100 in 5.60 seconds. It has 6 speed gear box and disc brakes in both the tyres. It has WP upside down 43 mm as front suspension and WP mono shock as rear suspension. It get's 110/70-17 as front section tyre and 150/60-17 as rear section tyres and which are tubeless. Wheel size is of 17 inch. It's kerb weight is 155 kg and the ground clearance is 185 mm. This bike comes with duel channel ABS. Price of this bike is 2 lakh 43 thousand ex-showroom chandigarh. 4. Ktm RC 390 - This bike comes with 373.2 cc single cylinder, 4-stroke, 4-valve, DOHC engine. Which can produce the max power of 43.50 bhp @9,000 rpm and the max torque of 35 NM @7,000 rpm, It has single cylinder and 4 valves per cylinder and has fuel injection as fuel delivery system. Ignition system is contact less, controlled,fully electronic ignition system with digital ignition timing adjustment. It's fuel tank capacity is of 10 liters and can give the mileage of 28 km per liter. It can reach the top speed of 179 km per hour. and can reach 0-60 in 2.68 seconds and 0-100 in 5.68 seconds. It has 6 speed gear box and disc brakes in both the tyres. It has WP upside down 43 mm as front suspension and WP mono shock as rear suspension. It get's 110/70-17 as front section tyre and 150/60-17 as rear section tyres and which are tubeless too. Wheel size is of 17 inch. It's kerb weight is of 159.5 kg and ground clearance is of 178.5 mm. This bike comes in two variants one without ABS and one with ABS. The price of ABS version is slightly higher as compared to without ABS model. Price of KTM RC 390 STD is 2,25,500 rupees ex-showroom Chandigarh, the price of KTM RC 390 ABS is 2,39,999 rupees ex-showroom Chandigarh. My views - according to me this bike was a big fail for mahindra. Mahindra mojo 300 is based on mahindra centuro. It's competitors are doing really good in terms of styling as well as machine also. 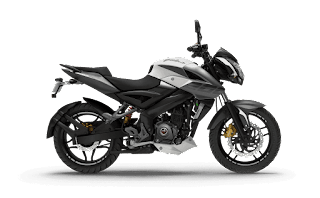 best mileage bike in india 150cc are Suzuki gixxer, Bajaj pulsar 150, bajaj pulsar ns 160, TVS apache RTR 160 4v, Bajaj v 15. Today we will talk about best mileage giving bikes in India in 150 cc category. So my name is Yogesh and you are on www.wheelsbest.com. So with out wasting your time. Iwill tell you their mileage first and them we will talk about their other features, specs. 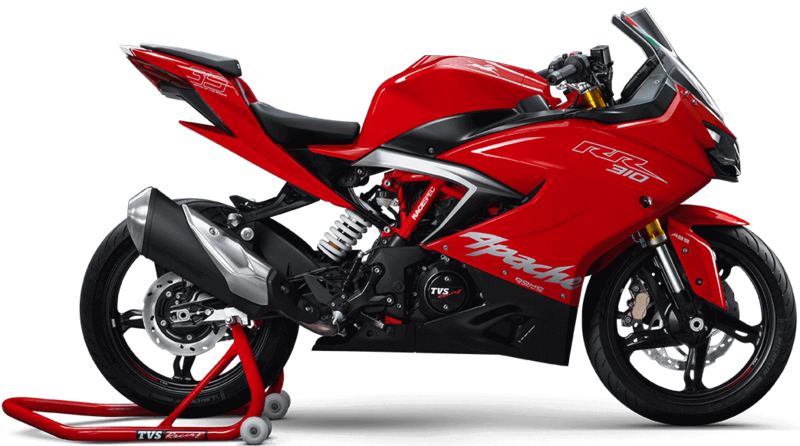 TVS apache RTR 160 4v - 60 km per liter. So if you were here to know only about mileage then you can close the tab. But if you want to know each and every thing about them. Then you can continue reading it. 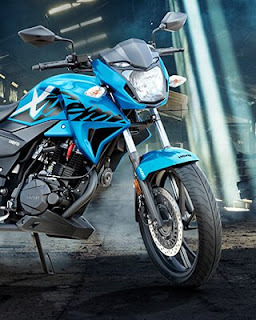 1.Suzuki gixxer - This bike comes with 154.9 cc single cylinder, 4-storke, 2-valve SOHC engine which delivers the max power of 14.8 bhp @8,000 rpm and the max torque of 14 NM @ 6,000 rpm. It has single cylinder, 2 valves per cylinder, carburetor as fuel delivery system and CDI digital ignition. It's fuel tank capacity is of 12 litres and company claims the mileage of 60 km per litre but the bike can give the mileage of 55 km per litre. Claimed top speed of this bike is 115 km per hour but in reality this bike reach up to 120 km per litre. It has a 5 speed gear box, It has disc brake in both the tyres. It has telescopic front suspension and swing arm mono suspension in rear. Ground clearance of this bike is 160 mm and the kerb weight of this bike is 135 kg. It gets 100/80-17 section front tyres and 140/60-R17 section rear tyres which are tubeless and wheel size is 17 inch.The best thing about this bike is it's also come with an ABS as an option. The price of this bike starts from rupees 79 thousand and goes upto 88 thousand rupees exshowroom Chandigarh. First bike in best mileage bike in india 150cc. 2. Bajaj pulsar 150 - This bike comes with 1499cc single cylinder, 4-stroke, 2-valve with twin spark ignition DTSi engine wich produces the max power of 14 bhp @8,000 rpm and the max torque of 13.4 nm @ 6,000 rpm. It has carburetor as fuel supply system and CDI as Ignition system. It's fuel tank capacity is of 15 litres and it can give the mileage of 55 km per litre. It can reach the top speed 115 km per hour. It can reach 0-60 in 5.7 seconds. It has 5 speed gear box. It has disc brakes in both the tyres. It has telescopic anti friction bush as front suspension and 5 way adjustable nitrox shock absorbers as rear suspension. It get's 80/100-17 section front tyre and 100/90-17 section rear tyre which are tubeless tyres. It's kerb weight is of 144 kg and ground clearance is of 165 mm. You can get this bike in 74,500 -79,000 rupees exshowroom Chandigarh. Second bike in best mileage bike in india 150cc. 3. Bajaj pulsar 160 ns - This bike comes with 160.3 cc single cylinder engine which produces the max power of 15.5bhp@8500 rpm and the max torque of 14.6 nm @6500 rpm. It has one cylinder and 4 valves per cylinder. It has digital twin sprk ignition. It's fuel tank is of 12 litres. It can give the mileage of 50 km per litre. It can reach the top speed of 120 km per hour. It can reach 0-60 in 5.30 seconds and 0-100 in 16.5 seconds. It has 5 speed gear box. It get's disc brakes in both the tyres. It gets telescopic with anti friction bush front suspension and mono shock absorber with conister as rear suspension. It has 80/100-17 section tyres in front and 110/80-17 as rear tyre. Wheel size is of 17 inch with tubeless tyres. It's weight is 142 kg and ground clearance is 176 mm. 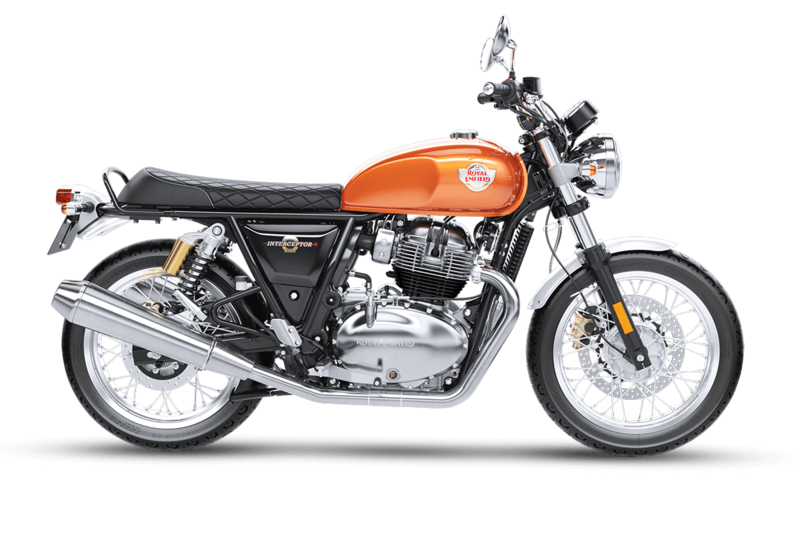 You can get this bikes standard variant in rs 84,000 ex showroom Chandigarh and rear disc variant in rs 88,000 ex-showroom in Chandigarh.Third bike in best mileage bike in india 150cc. 4. 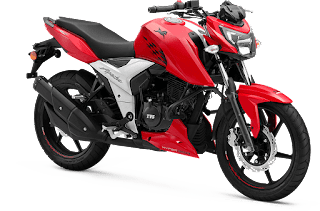 Tvs apache rtr 160 4v - This bike comes in three variant one with carburetor and rear drum brake, second with carburetor and both disc brakes and third with fuel injection and both disc brakes. In this post we will talk about carburetor and duel disc version. 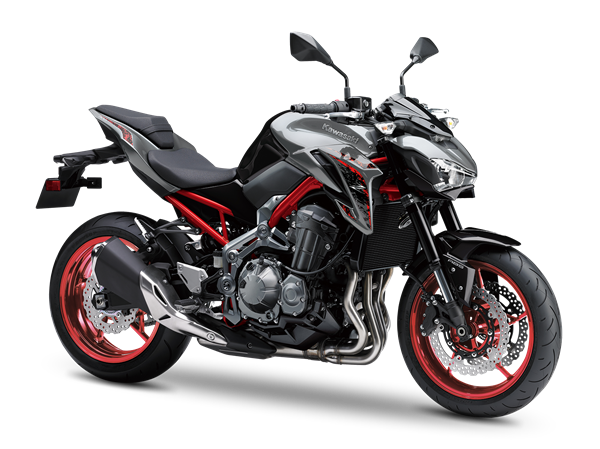 So this bike comes with 159.7cc single cylinder, 4-stroke OHC, SI engine which can produce the max power of 16.5 bhp @ 8000 rpm and the max torque of 14.8 NM @ 6500 rpm, it has single cylinder and 4 valves per cylinder. Fuel supply system is carburetor and ignition is TCI- transistor controlled ignition. It's fuel tank capacity is of 12 litres claimed mileage of this bike is 60 km per litre but when I tested it it was giving the mileage of 54 km per litre. But only when you will drive it between 40-60 km per hour. Claimed top speed of this bike is 113 km per hour but when I was riding this bike it was reaching to 125 km per hour very easily. It can reach 0-60 in 4.73 seconds and 0-100 in 15.7 seconds. It has 5 speed gear box. It has telescopic forks as front suspension and monoshox as rear suspension. Size of front tyre is 90/90-17 and size of rear tyre is 130/70-17. It has tubeless tyres, wheel size is 17 inch. It's weight is 145 kg and ground clearance is 180 mm. It's standard warranty is of 3 years or 30,000 km. Every thing in other two models are same accept tyre size and power. Power in fuel injection variant is 16.8 bhp @ 8000 rpm and power in carburetor variant is 16.5 bhp @8000 rpm. Tyre size in carburetor with rear drum brake is 90/90-70 as front section tyre and 110/80-17 as rear section tyre and other two variants have 90/90-17 as front tyre and 13/70-17 as rear tyre. Price of this bike starts from rs 84,887 - 88,137 ex-showroom Chandigarh, prices may vary in different places.Fourth bike in best mileage bike in india 150cc. and can reach the top speed of 110 km per hour. It gets 90/90-18 section front tyres and 120/80-16 section rear tyres. Which are tubeless and radial. It get's disc brake in front and drum brakes in rear. It has the fuel tank capacity of 13 liters and can give the mileage of 55 km per liter. You can get this bike in 64 thousand rupees ex-showroom delhi . Fifth bike in best mileage bike in india 150cc.